However there is no option to create a bubble style legend. I have looked at several examples to use custom html to implement this, however none seem to generate what i am after. 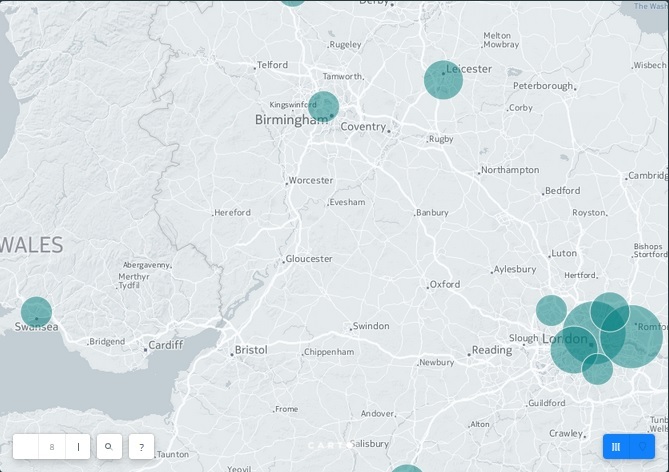 Has the functionality of 'cartodb-legend bubble' changed at all? Go to the LEGEND tab. Switch to the UI and click on CLEAR. Click on the marker width (it shows 7 by default) and select BY VALUE, then choose capacity field from the drop-down menu. Switch the slider button to show the CartoCSS panel again. Not the answer you're looking for? Browse other questions tagged carto legend html or ask your own question. How to add arrow symbol in legend of CartoDB? Changing legend window in Carto new editor? Carto legends are missing when embedded?